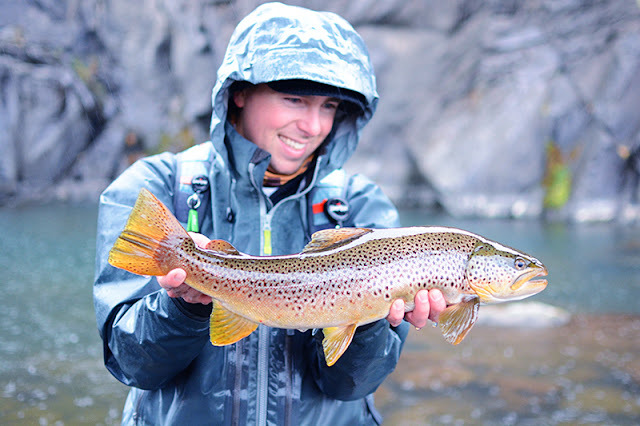 Getting lost in the elements is what fishing is all about. There's something so soothing about standing in the middle of a river, rain pouring down, rod in hand, soaked on the outside, but warm and dry on the inside. In those instances I feel like less of a spectator in the symphony of creation, and more like I am a part of it. This is reality entertainment as it should be; how it was meant to be. What many of my friends and family struggle to understand is how being amidst the elements when they are at their worst is any fun. The secret is that it can be done, while still being comfortable, safe, and able to protect your equipment. It just takes the right gear. Not only do I have a great passion for being outdoors among my finely scaled friends, I also love capturing the beauty and adventure on camera. For the longest time I used a basic, waterproof, point-and-shoot Pentax Optio camera. I would occasionally take out my DSLR, but it made me pretty nervous having it on the water. Eventually, I upgraded to a nicer Nikon DSLR and became even more worried that it would go into the drink if I took it on wading adventures. I still took it out, even having a couple gut-puckering close calls, but never without a nagging fear at the back of my mind. 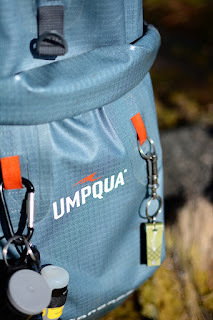 Then the Umpqua Tongass 1800 waterproof backpack came into my life and that all changed. Umpqua is a rock solid company that was established in 1972. Their initial mission was to create high-quality flies, and make them available to a wide audience. They were largely responsible for the fly production and sales model that many reputable companies follow today. 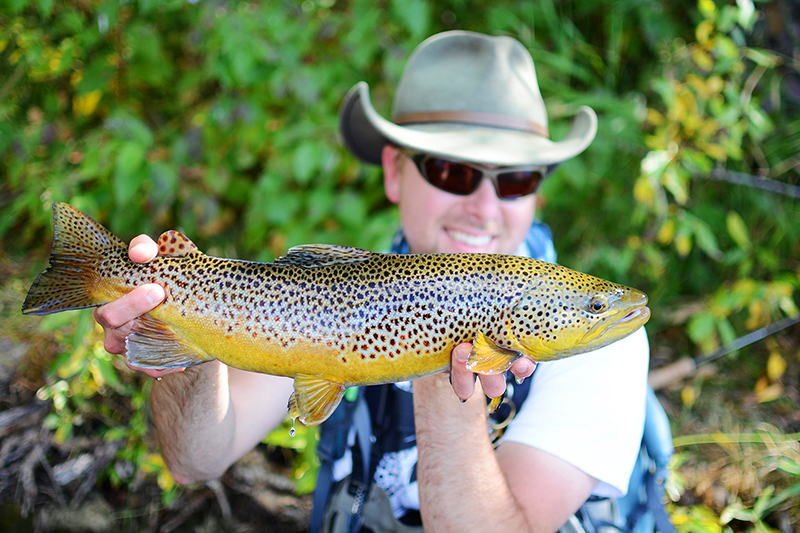 Quality was and is their call, and in an effort to remain true to that creed they have kept their focus, keeping to the flies of fly fishing, and those products that are directly related. That means leaders, fly tying materials, hooks, bags to hold all those awesome flies, and some other pertinent accessories. What they do, they do well. Not sure who was wetter. Over the past eight months I have had the opportunity to put the Tongass 1800 through the paces. 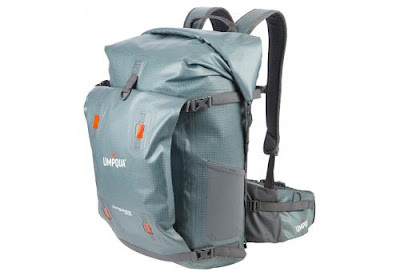 It is a relatively simple backpack, but it is tough, and has given me a peace of mind I didn't realize I was missing until I had it. It is simple. The pack is composed of two dry bags, both with roll-tops that seal air/water tight. There is one small packet/pocket that can be removed from the inside of the larger bag, but beyond that there is nothing to organize the contents beyond what is placed in the bag to do so. Some people view this as a drawback, and I have to admit that I wondered if it would be for myself in the beginning. However, the more I used the bag, the more I realized it didn't bother me. In fact, I found myself trying to simplify more, and take less. The size of the bag doesn't require me to take less; quite the opposite is true, but simplifying just makes it easier to find things and saves my back weight-wise. I am able to place a coat, boat box, some food, a large Ziploc with miscellaneous accessories, and my DSLR in the larger dry bag with ease. I often place all my smaller fly boxes in the smaller dry bag. 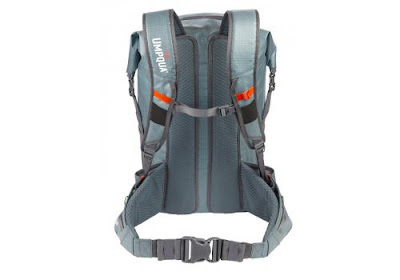 When I bring more than I probably should have, which is most outings (I hate being unprepared to a fault) the pack has a comfortably padded waist belt to help even the weight. One nice feature about the pack is that it floats. This is a great feature for two reasons. First, if it falls out of the boat, it can be retrieved without scuba-gear and a miracle. The second reason, and one I found out unintentionally, is that is can serve as a life preserver. 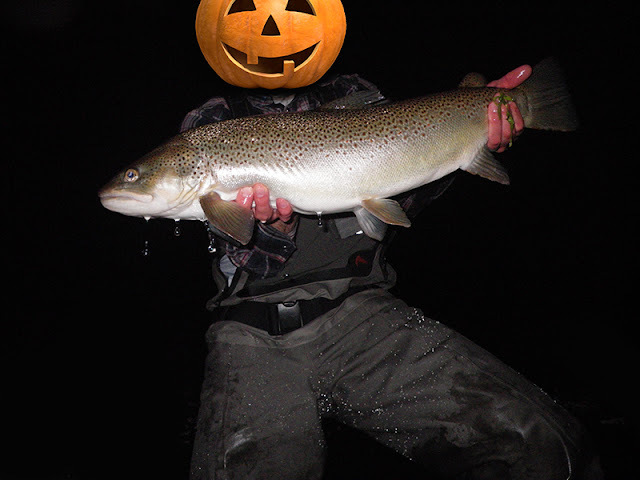 I found this out because one trip I had the belt on and tried to wade into some water that was up to the top of my waders. The water was slow and I wasn't swept away, but quickly felt the flotation from the pack. After that I made sure to un-clip the waist belt when wading deep water. This flotation feature could very well save a person's life if necessary. There are plenty of tabs to clip carabiners or zingers to. Also, the same clips that hold the dry bags closed can serve as places to secure extra rod cases or even an extra jacket in a pinch. There are also drink/rod case holders on both sides of the pack. 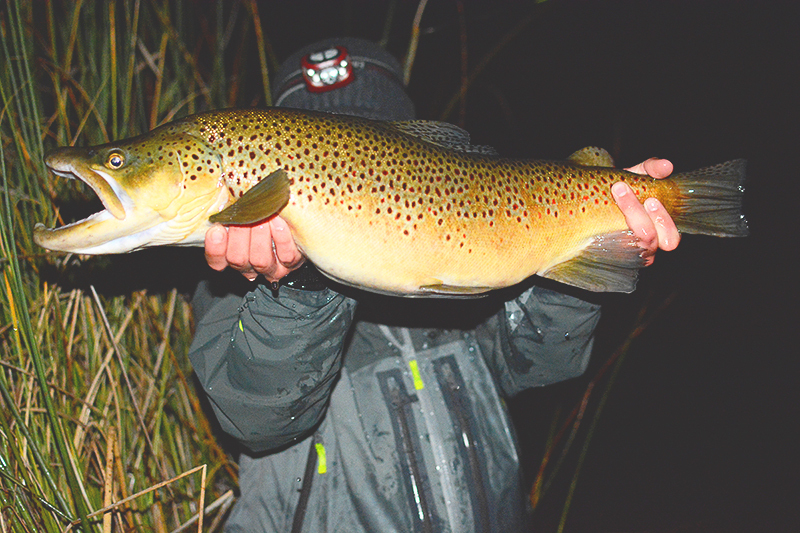 For those who find themselves wading flats, away from trees and other potential rod breaking items, they can utilize the reel pockets in the waist belt. These pockets are meant to help an angler carry multiple rods at once, though to be honest I never used them because I was too worried about my rods getting beat up. 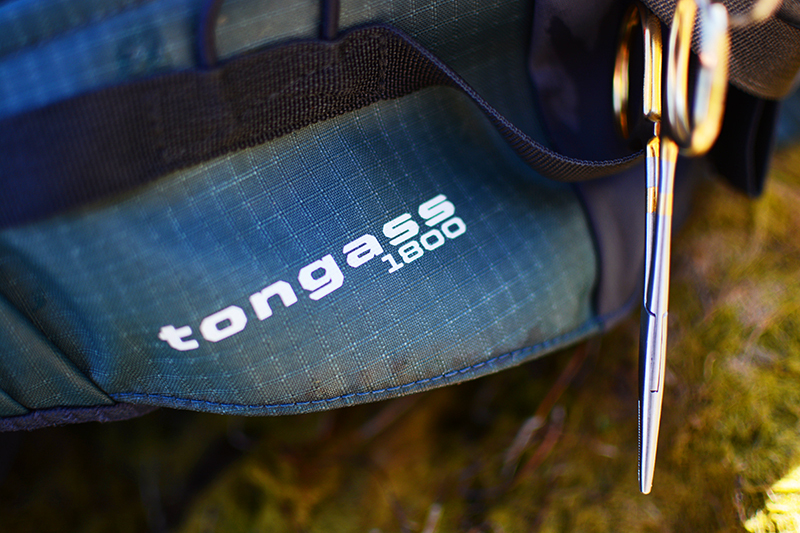 Among the advantages the Tongass 1800 has, I have to say my favorite is the fact that it is truly waterproof. There are no "water-proofed" zippers to stress over. I love that I can place my DSLR in it and wade wherever I want, whenever I want, regardless of the elements. I cannot state how much I value this single certainty. 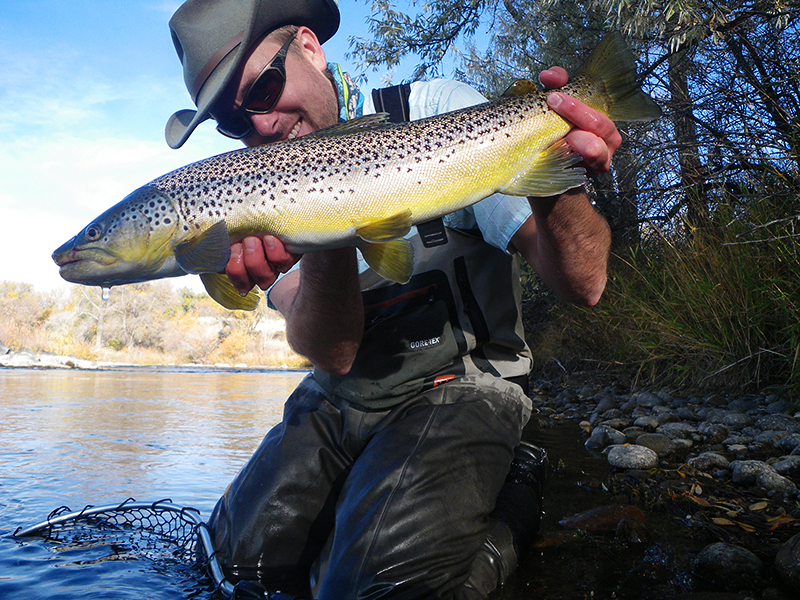 I often find myself fishing solo, which makes it trickier to photograph a nice fish. 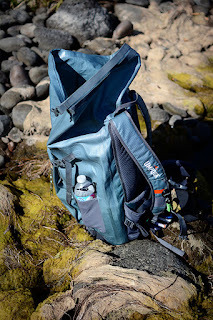 This pack has made the process much easier, because it quickly turns into a flat surface/tripod to place the camera on, and I can set it right in the water at the rivers edge. This allows me to keep the fish in deep enough water to keep it comfortably safe until it is time to lift for the actual snap. I love this pack, but with most things in life, if given the opportunity we would likely want to tweak some small things, and this wouldn't be an honest review if I didn't mention some things I would change, given the opportunity. The following are a few things to take into consideration when deciding if this pack is for you, though I do not consider them deal-breakers for myself. 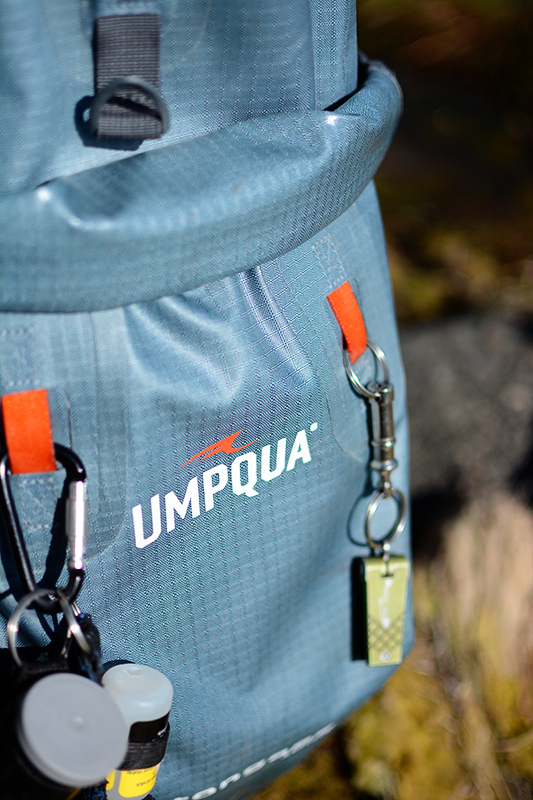 The pack's simplicity is one thing that may deter an angler. 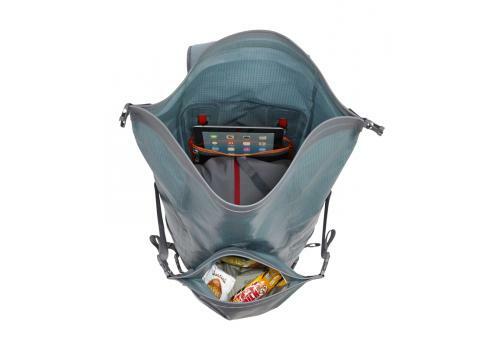 It only has two main compartments, which requires the user to do some self organization. Ditty/stuff sacks would be a great addition for someone considering this style of backpack. 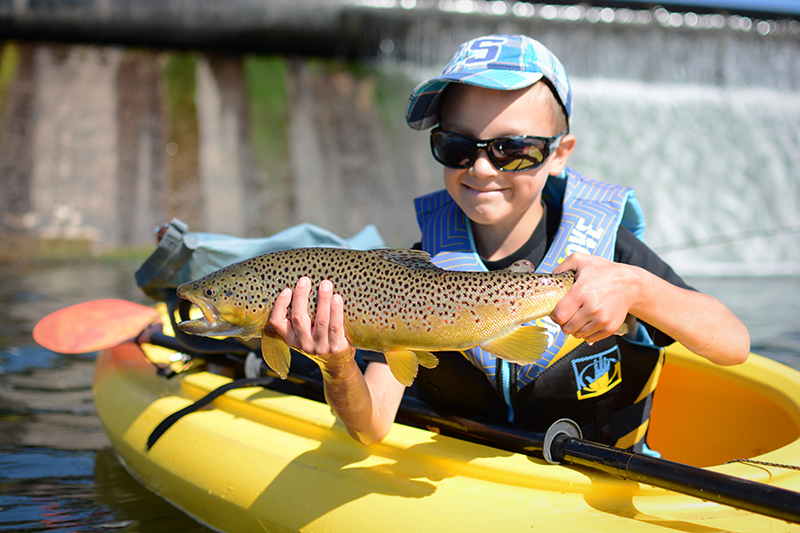 The roll-top system takes getting used to for those who are used to traditional zippers, and can be a bit tricky to access when on the water. For me, this usually means I plan ahead and throw the main flies into one smaller box I can carry in my waders or wading jacket. The elastic water bottle sleeves on the sides are small. They will not fit a traditional Nalgene bottle, but require a smaller profiled water bottle. I love my Nalgenes, so I had to find another type that would fit. The clips that are used to close the dry bags are easy to get mixed up when closing the bags if one is not already closed. This is easily fixed by putting some matching paint on the clips that go together. 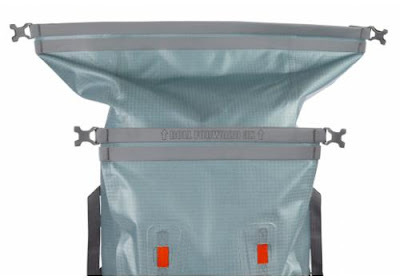 I would prefer, for my personal situation, to have zipper pouches on the waist belt, rather than the reel-holding system, but this is a minor issue. The pack is sitting in the water, with the camera on it taking this picture. Another backpack tripod shot from back in October. Despite the things I would change if I were designing the bag personally, the pros definitely outweigh the cons, and the learning curve and extra planning/organizing is worth the peace of mind I get with this pack. I would highly recommend the investment for those looking to protect their belongings while bushwhacking and wading. No more putting cameras in giant Ziploc's, and opening fly boxes to drain and dry after wading in deep water. 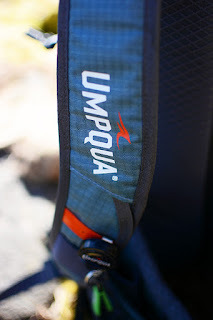 As we enter the winter months here in Idaho, snow will also become a large factor, and I look forward to having a high-quality waterproof pack from a solid company that stands behind their products. These guys know what it's like to get in there with the elements. The Umpqua Tongass 1800 Waterproof Backpack is $229 at most retailers. 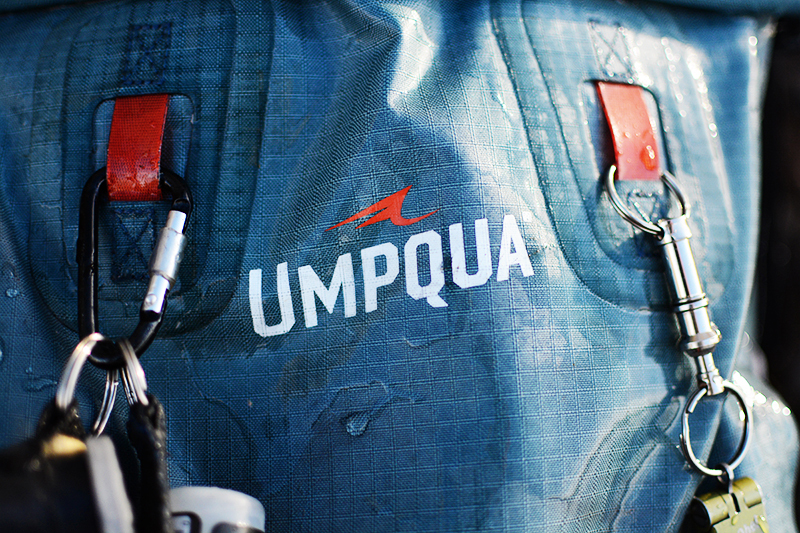 Umpqua has other waterproof options for those needing more or less space than this pack offers as well.